The sleek Star Trek-inspired machine was announced in the September 1971 issue of Scientific American, carrying a price tag of only $750. It was designed before the microprocessor revolution, so the system logic was built around small and medium scale ICs. MOS shift registers provided a mere 256 bytes of memory. The 1 MHz clock signal was provided by a multivibrator, but the system was only capable of executing a few hundred instructions per second because of the serial architecture. And - just like Star Trek - the front panel featured a row of incandescent blinky lights instead of LEDs, because they were brighter. Around 40 units were sold to schools and colleges, since the system was a bit too early and technically limited to appeal to hobbyists. I suspect many of the machines had a hard life before being rendered obsolete by the far more capable microprocessor-based personal computers of the late 1970s. 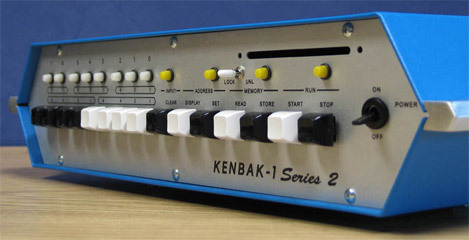 As a result, less than a dozen original KENBAK-1 computers still exist. 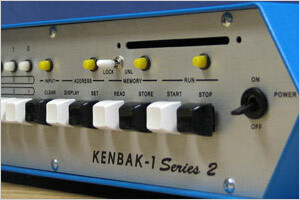 Grant Stockly's modern KENBAK-1 Series 2 reproduction is faithful to the original. He borrowed an old Revision B Kenbak-1 circuit board from John Blankenbaker and had exact copies manufactured. 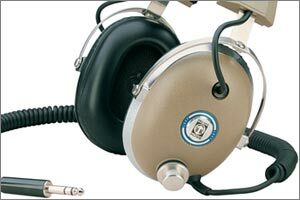 The system is built around either new or 'new old stock' parts, and the reproduction case is based on careful measurement of an original. The final result is amazing - like stepping back in time.